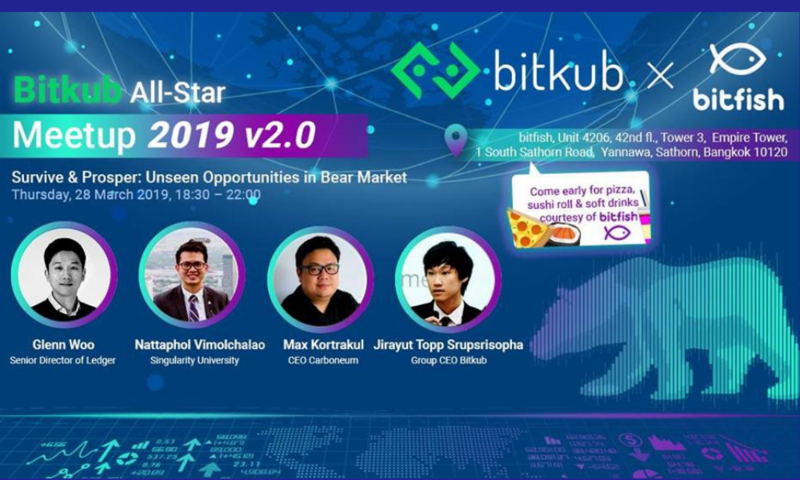 Bitkub Academy Monthly Meetup returns with another All-Star lineup in March 2019 that includes the world’s top cold wallet, an educational pioneer in exponential technologies, and two serial entrepreneurs who have founded two of Thailand’s most reputable crypto/blockchain-based businesses. From trading, educational, wallet security & exchange perspectives, what are the most overlooked opportunities in bear market and how can we learn to spot & make the most of them regardless of background or industry? Come for a night of fun and bring your questions & business cards for some action-packed networking and Q&A sessions in this night hosted by bitkub x bitfish! 20:15-21:00 Panel Discussion: Unseen Opportunities in Bear Market: How Can We Best Utilize Them Across All Industries?